Is deal part of cover-up of cop murder of 7-year-old child? 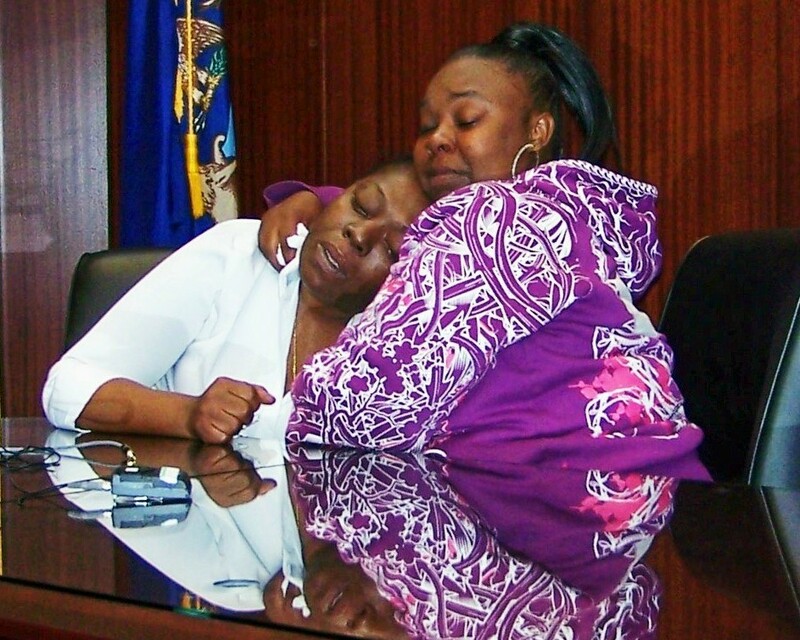 Detroit–On April 11, headlines in Detroit’s daily media trumpeted, “Guilty plea fingers Aiyana Stanley-Jones’ dad” (Detroit Free Press) and “Suspect promises to testify against Aiyana’s father” (Detroit News). Mildred Gaddis and other local talk show hosts hurried to their mikes to blame Aiyana’s family for the death of the seven-year-old child, killed by Detroit police last year during a military-style police assault. Chauncey Owens, 32, pled guilty that day to second-degree murder in the death of Je’Rean Blake, 17. 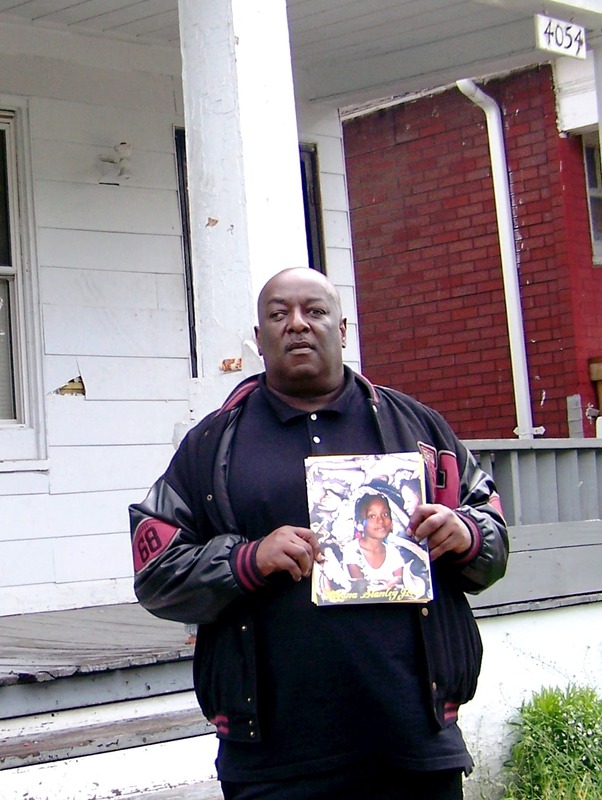 Police had said they were searching for Owens when they lobbed an incendiary grenade through the living room window of Aiyana’s home in an impoverished east side neighborhood, and shot her to death on May 16, 2010. The Jones’ family’s attorney Geoffrey Fieger said during a press conference after her death that police surveilling the house saw Owens leave the premises about 6 p.m. May 15, and could have arrested him then. Fieger contends in a lawsuit that police deliberately waited to set up a scene for the A&E program “48 Hours” before entering the home at 12:30 a.m. May 16. 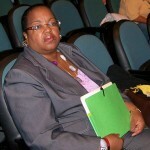 Cargill was being interviewed about a police assault that occurred during a memorial picnic on Je’Rean’s June 17 birthday. She said white officers beat and shot at Black youths who were cleaning up afterwards (click on http://michigancitizen.com/mother-of-slain-teen-claims-police-brutality-p8783-1.htm to read story). 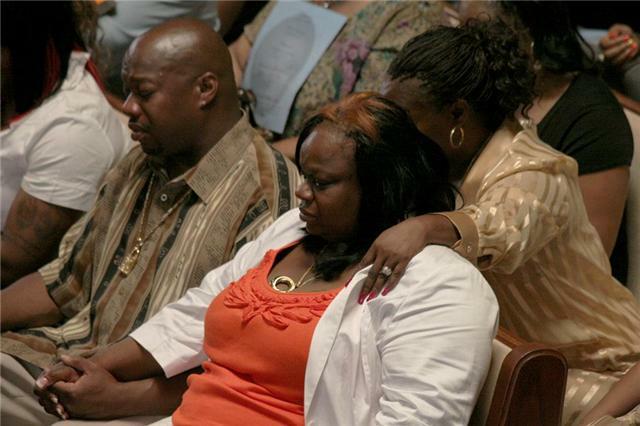 But on April 11, Gaddis and others featured Cargill on their shows, encouraging her to join in the media-generated hysteria blaming Charles Jones for the death of his child, and essentially exonerating the police. There is, however, absolutely no documentation indicating that Owens or anyone else said Charles Jones gave him the gun that killed Blake. NONE. 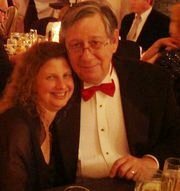 It does not exist in Owens’ written plea deal, in statements he gave the police, or in interviews court-appointed psychiatrists conducted with him, which VOD reviewed in Owens’ court file. No witnesses included on a police investigator’s list in the file make the claim either. “The police and the prosecutor (and others) will go to any length to get rid of the Aiyana Jones story including but not limited to creating fictitious stories and associations,” said Roland Lawrence, chair of the city’s Justice for Aiyana Jones Committees. On May 20, Wayne County Circuit Court Judge Richard Skutt postponed Owens’ sentencing from May 23 to July 29, reportedly because complications have arisen regarding the terms of the plea bargain. According to his court file, Owens’ statements to police were obtained soon after the police assault on Aiyana’s home, but only after he repeatedly denied any involvement in Blake’s death, and after he discovered Aiyana had died. His attorneys Pamela Szydlak and later David Cripps filed and argued motions to suppress the statements, which Skutt denied. In the contested statements, Owens says Charles Jones was with him in a group that went to the store at St. Jean and Mack where Je’Rean was shot to death. However, he names another individual as the one who gave him the gun. Owens said they did so. Asked whether Charles Jones knew what was going to happen, he said only, “He knew the gun was there.” He said the group had a gun for self-defense because one was wearing diamond Cartier glasses, and the the person who gave him the gun told him to take it for self-defense because “there are a lot of n—-s out there.” He said he fired the gun accidentally. The preliminary exam witnesses identified Owens as the shooter. On cross-examination, Szydlak obtained an admission from one that he did not pick him out of a photo display immediately after the shooting. 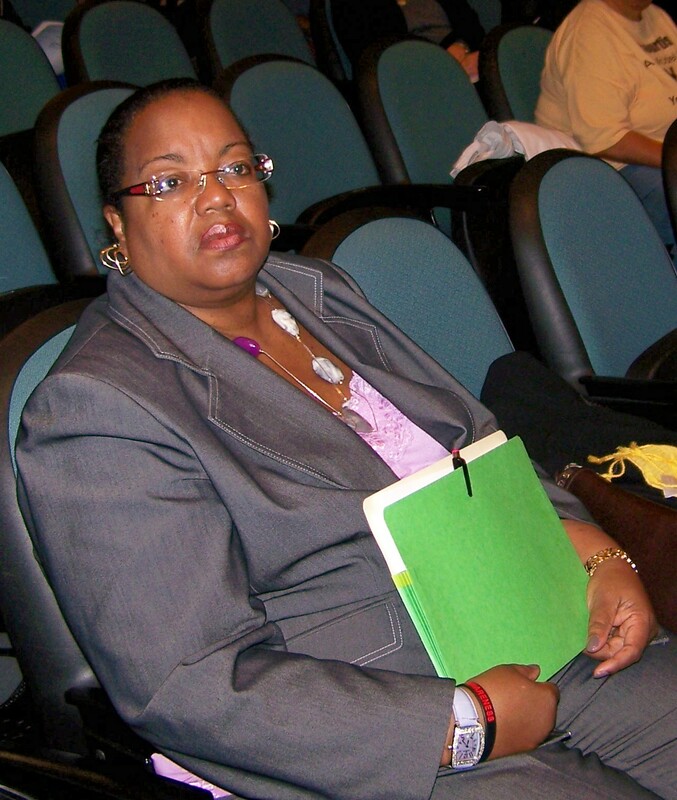 Also in testimony at the exam, Cargill said she drove to the store to pick up her son after he called her. When she got there, her son’s friends were about to put him in their car to take him to the hospital, but Cargill drove him herself. It is unclear why police or 911 had not responded to the scene, either after the shooting, or because of the gathering of such a large crowd before the shooting. 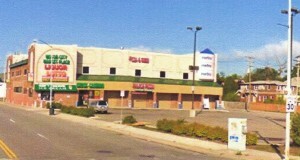 Je’Rean was killed at that store on Friday, May 14, 2010. Where were the police then? 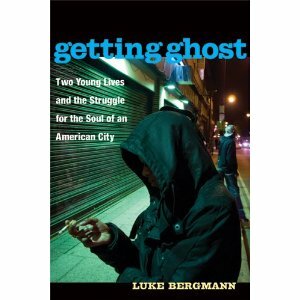 In 2008, author Luke Bergman published a book, “Getting Ghost: Two Young Lives and the Struggle for the Soul of an American City.” Beginning on p. 61, it details the struggle of Mack Alive, community members and former Councilwoman Alberta Tinsley-Talabi to stop the opening of Lou Nafso’s “Mike’s Motor City Marketplace,” the store where JeRean Blake was killed. 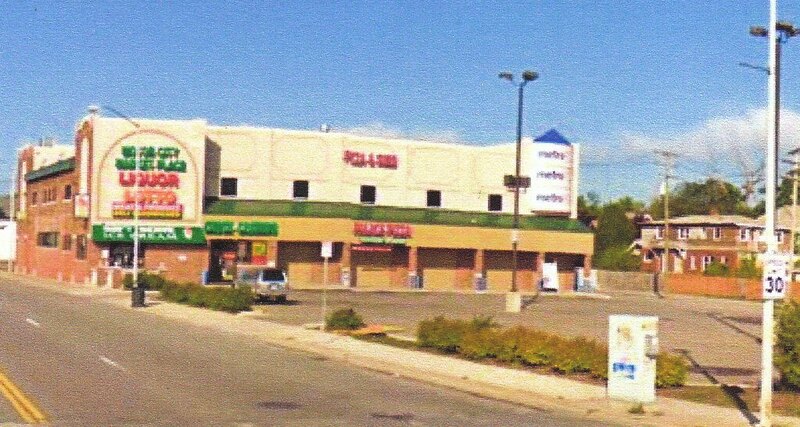 The book, published by the University of Michigan press, also details the devastating effect that such stores, primarly owned by Chaldeans and Arab-Americans who do not live in Detroit and do not have such outlets in their own neighorhodds, have on the impoverished population of Detroit. In response to defense motions for determination of Owens’ ability to be criminally responsible, waive his Miranda Rights and stand trial, Skutt appointed two psychiatrists from the Center for Forensic Psychiatry to interview him. Skutt eventually declared Owens fit on all counts, based on the psychiatrists’ reports and on his viewing of a police videotape of Owens giving his second statement. But the interviews, summarized by the psychiatrists in detailed letters, are nonetheless enlightening. They raise questions regarding Owens’ mental condition, both at the time he was interrogated by police, and throughout his life, as well as police tactics used in obtaining his statements. In one interview, Owens described the night of the police assault, saying he was in bed with his fiancée LaKrystal Sanders, Aiyana’s aunt, when the incident began. Sanders lived in the flat above the home where Charles Jones, his mother Mertilla Jones, Aiyana and several other children lived. The homes had separate entrances. Owens told the psychiatrist the police took him into the Jones’ flat, and sat him down on the couch where Aiyana died. “Blood was on me and pieces of brain were all over the couch,” he said. Later after he was taken to the police station, he said the police would not give him his clothes, only a paper gown. 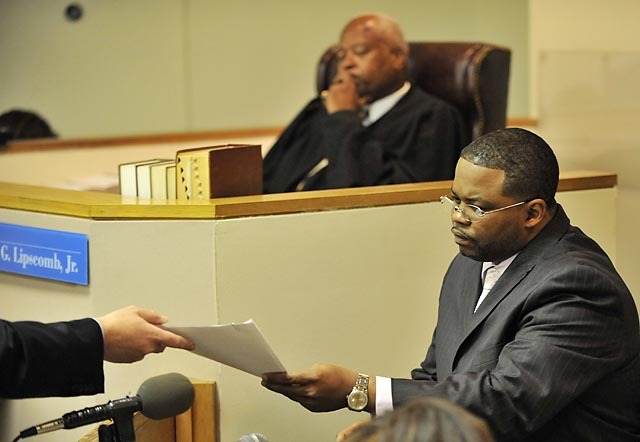 Police investigator Theophilus Williams looks at statement signed by Chauncey Owens during preliminary exam in front of Judge Willie Lipscomb, Jr. According to the psychiatrists’ accounts, as well as accounts of the videotaped statement in the court file, Owens denied any involvement in the Blake killing for over one and a half hours. He kept asking to call his fiancée. One officer told him he would let him call her if he gave him the testimony he wanted. Owens finally agreed, and was allowed to call Sanders. Sanders did so. Owens began weeping, then composed himself and gave the police the statement on record..
Owens also told the psychiatrists he had been raised by his grandparents, and that his mother died of cirrhosis of the liver in 2008, after he had cared for her during her declining years. He said an uncle had abused him. He reported that he had “auditory hallucinations” from the age of 13 until the age of 30, and also reported paranoid delusions. He said he had been in special education classes since fourth grade, left school in the seventh grade and could barely read and write. He said the other students made fun of him. The psychiatrists said those reports did not show Owens was mentally incompetent or unable to waive his Miranda Rights, as he did by signing a statement that the police had him read. They also asked him to read his confession out loud, written out by the police officer. The record shows he started to do, then stopped and just signed it. That psychiatrist also said that Owens told him he was not sure if he could be tried without an attorney. Owens’ plea bargain was reached April 11 as he was about to go to trial. 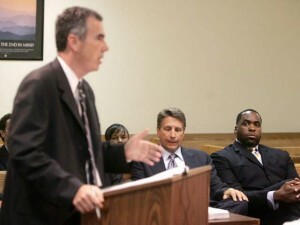 A jury had already been impaneled. Assistant Prosecutor Maria Miller, communications director for Wayne County Prosecutor Kym Worthy, issued the following statement regarding the plea bargain. “Today Owens entered a guilty plea before Judge Richard Skutt to Second Degree Murder which carries a penalty of Life or any term of years. He received a sentence agreement of 28 years in prison. He also pleaded guilty to Felon in Possession of a Firearm (5 years) and Felony Firearm (2 years mandatory consecutive). As part of the sentence agreement Owens is required to testify truthfully in any future proceeding about who supplied him with the murder weapon. After Owens testifies the prosecution can appear before the court to request a sentence reduction on the Second Degree Murder charge to a sentence of 26 years. 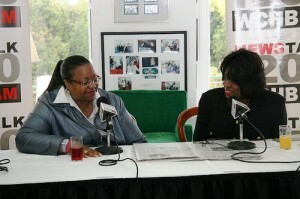 He is expected to be sentenced on May 23, 2011. 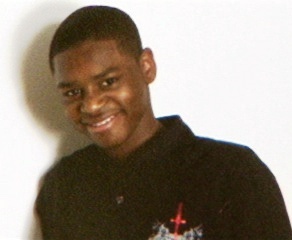 “We are very pleased that Owens has admitted his responsibility for the senseless killing of Jerean Blake and that he has agreed to cooperate with our investigation,” said Prosecutor Worthy in the statement. 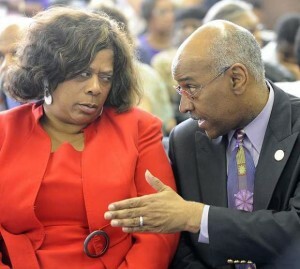 1) What are the reasons for the delay in Chauncey Owens’ sentencing? 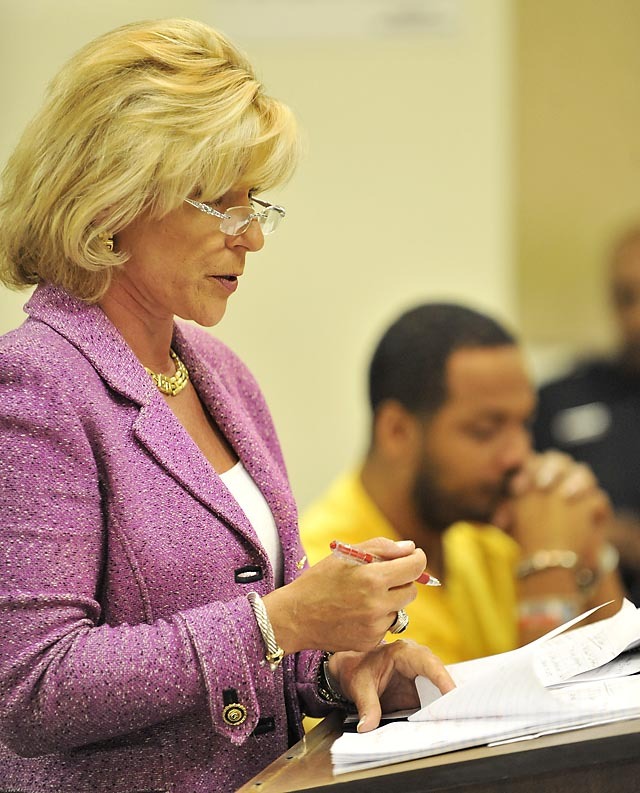 2) Is the prosecutor’s office delaying the sentencing of Chauncey Owens because of the conflicting statements? 3) Is it the aim of the prosecutor’s office to charge Charles Jones in the Je’Rean Blake killing to divert attention away from the police killing of his daughter Aiyana Jones? · Waiting to arrest suspect until a spectacular scene could be set up for a reality TV show? 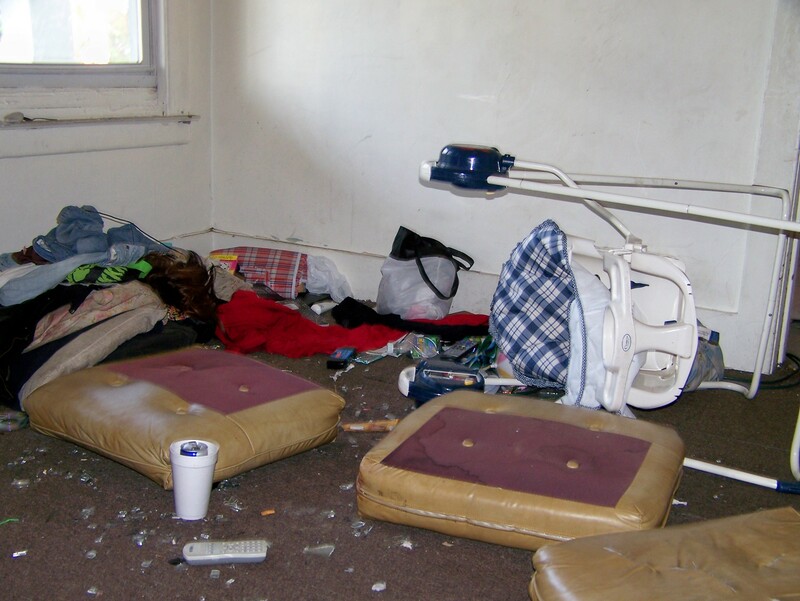 · Seating suspect on couch where Aiyana Jones died, covered with her blood and bits of brains, after his arrest? · Interrogating him while he was dressed in his boxer shorts and a paper gown, and complained of freezing? · Police putting shower cap on his head and laughing at him? · Enticing him to confess with promises that he could call his fiancee if he went along with the interrogators’ version of events in his statements? · Telling him to confess to save his family further grief? 5) Again, WHY have no charges yet been brought against the police in the death of Aiyana Jones? Your earlier statement regarding the length of time the prosecutor’s investigation is taking belies the fact that Prosecutor Worthy turned over the investigation immediately to the Michigan State Police to avoid the appearance of a conflict of interest. WHY would she now have to conduct her own investigation? Couldn’t this be considered obstruction of justice? It is always with great sadness that I read these sorts of things. When Aiyana Jones was first killed by police I raised the issue of the A&E presence and what it likely meant as to the conduct of the police at the scene because it appeared to me that there was an obvious connection between cameras and actions and I hoped that there would be a trial in which all evidence gathered would see the light of day, including the A&E tapes in-so-far as they were relevant to the arrest of Mr. Owens. However, no one should misunderstand that if Mr. Jones, in fact, ‘gave’ the weapon to Mr. Owens, that fact was not known by police at the time of the killing of Aiyana and does nothing, in any way, to justify the police actions leading up to and including the killing of Aiyana. I was going to write a good deal more about corruption and injustice but it just seems pointless to do so. Officially sanctioned murder, lying & spin, corruption, injustice, cover-up and police self protection rackets are now the official American way.